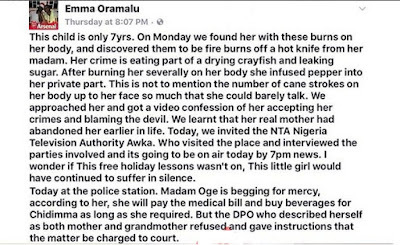 This is really heartbreaking. 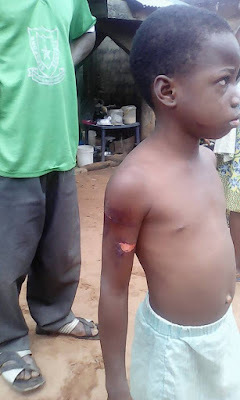 A woman who burnt a seven year old girl identified as Chidinma with hot knife has been arrested by Anambra State police. 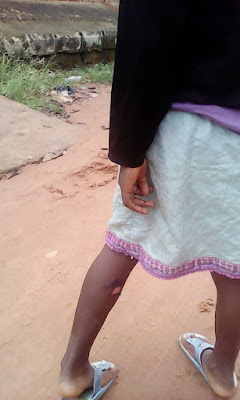 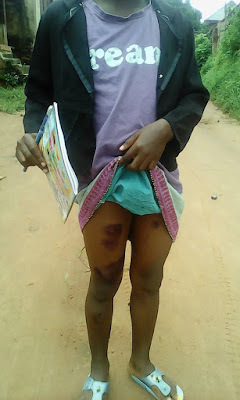 According to Emma Oramalu, the woman burnt the little girl with hot knife after severally flogging her and injecting pepper into her private part for eating crayfish and licking sugar. 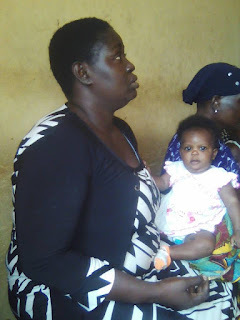 She has been arrested and is currently helping the police in their investigation.